It’s been yet another big week, with plenty of confirmation from the business world and broader society that green energy sentiment is running as hot as ever. 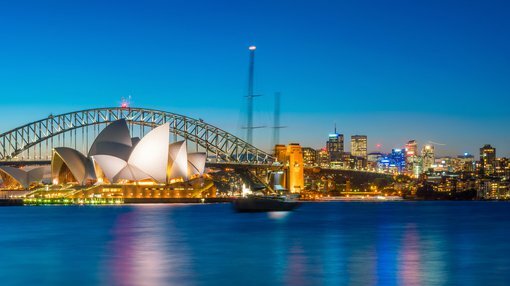 Yesterday the latest news of a greener, brighter future came from the Sydney Opera House, who announced it was going ‘carbon neutral’ — five years ahead of schedule. The world-famous landmark has invested “easily $10 million and probably more” towards achieving the impressive milestone. The main measures taken were modernising its 50-year old seawater cooling system, replacing thousands of light bulbs (switching to LED low-energy bulbs), and introducing a nice carbon offset side hustle via its support for reforestation projects (through a partnership with EnergyAustralia, via CSIRO). No doubt it’s a well-engineered campaign, which the Opera House hopes will help raise awareness of environmental sustainability. It certainly can’t help having the sails at Bennelong lit up in green, like they were yesterday. Power consumption has been cut by 14% through the refurbishment of the pioneering seawater cooling/ heating system incorporated by Danish architect Jørn Utzon in the 60s. All of that bodes well for the country’s greening image, and supports a report from Australian National University earlier this month which states that Australia is on track to have 100% renewable electricity by 2030, in line with our Paris Agreement commitments. The report stated that if the country continues at the same rate of renewables deployment and uptake (which is mostly solar photovoltaics, wind farms and rooftop solar PVs), Australia will meet the entire emissions reduction task for the whole economy by 2025. At the moment, and despite consecutive governments seemingly intent on dragging their feet all the way to the green energy future, it seems the wind is well and truly blowing in the right direction. We are on track for our renewables energy industry to install more than 10 gigawatts of new solar and wind power before the end of 2019. Meanwhile, Genex Power Ltd (ASX:GNX) — covered in this column a few weeks ago — has won government approval to start building its flagship 250 megawatt pumped hydro project in far north Queensland. The Etheridge Shire council has given development approval for the hydro part of phase two of GNX’s “Kidston” project, which means it can start building in 2019. The pumped hydro system is part of a broader 720 megawatt (MW) project which will also include two solar farms (50-MW operating solar project and an integrated solar project of up to 270-MW) and a wind farm as well as a wind project (up to 150 MW, under feasibility). Australia-founded and managed Atlantic Energy, which is now Simec Atlantis Energy (AIM:SAE), are behind the world’s largest planned tidal stream project in the world, ‘MeyGen’. Earlier last week it unveiled designs for the new 2-MW tidal power turbine system which will be the largest and most powerful single axis turbine available on the commercial market. The company are describing the plan as “the culmination of 15 years of investment, relentless experimentation, rigorous testing, and subsea operation”. Atlantis started out as an Australian company before shifting to Singapore to raise capital and is now part of the GFG Alliance group. Tidal power, based on the concept of generating power from the ocean’s currents, has been looking a bit dead in the water (sorry) as wind and solar have both taken off at break-neck speed buoyed (pun number two) by the many years of research and technology behind them. They are also quicker and easier to get into production. Yet tidal power could, eventually, become an eminently important source of renewable power. The director of business development and public affairs for Simec Atlantis Energy’s MeyGen project, Cameron Smith, told POWER mag the inherent advantage of the tidal turbines centres around “the value of predictability, power density and environmental acceptability. Water is 800 times more dense than wind, so we use short blades, generating energy silently and unseen on the seafloor. Since we know when the tides will come, we can regularly produce an enormous amount of power”.